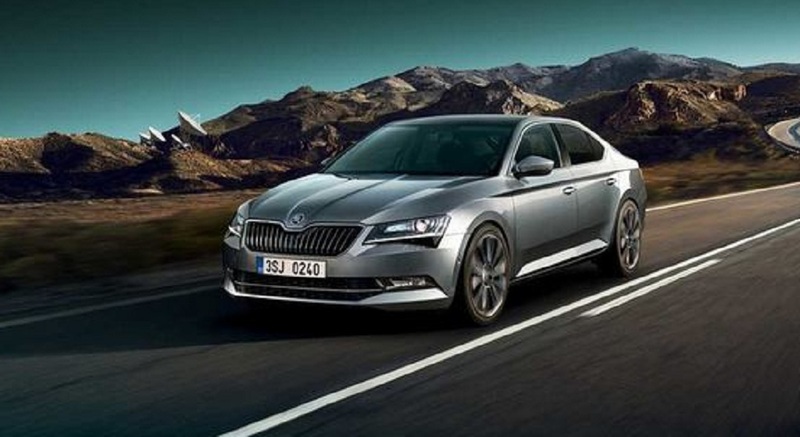 Skoda India has silently introduced Superb Corporate Edition for festival season at an introductory price of Rs. 23.49 lakh (Ex-Showroom) and it is positioned below entry level Style variant. 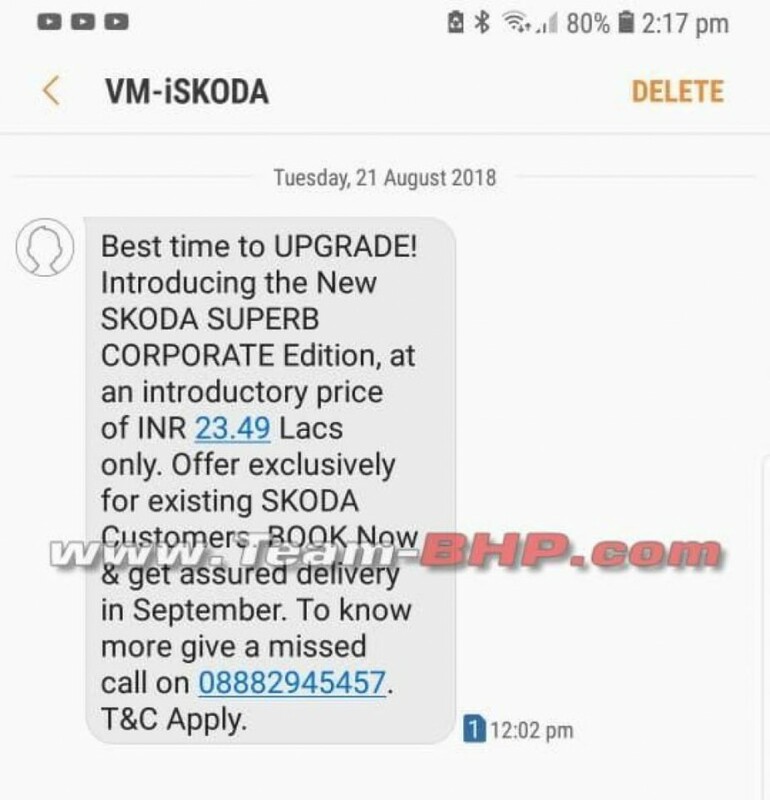 The company is yet to officially announce the model and the price was revealed through a message received by a Skoda owner. The current generation Superb made its India debut in 2016 and it is available in two trim level – Style and L&K with all the bells and whistles. The Corporate Edition might miss out on some expensive features from Style to keep price down and it is expected to be powered by both petrol engine with manual gearbox. Skoda India is currently offering two engine options with Superb, the 1.8 L TSI engine puts out 180 PS of power and 250 Nm of torque with 6 speed manual gearbox, and 320 Nm of torque with 7 speed DSG gearbox. The 2.0 L TDI engine produces 177 PS of power and 350 Nm of torque, this engine is coupled with 6 speed DSG gearbox. The Superb was the fourth product in India to be based on MQB platform and it is assembled to keep price competitive. The design of Superb is elegant and classy as the company has given its new signature grille at front with new headlamps and the bumper gets integrated fog lamps placed on either side. On the side, Skoda has given 17 inch or 18 inch alloy wheels along with chrome outline for the window, which gives a premium feel for the Superb. The rear gets new LED tail lamps along with an updated bumper. Overall, the exterior design is attractive and gives an expensive car feel, which was missing in the previous model. The interior design of Superb follows the minimalistic approach of Skoda as the company has given three spoke leather finished steering wheel and new instrument cluster. The centre console get touch screen infotainment system and triple zone climate control functions. The Superb offer lots space for both front and rear passengers along with plethora of features like 12 way power adjustable front seat with memory function, lumbar support, 12 speaker Canon audio system, sunroof, park assist, power-operated boot release, Bi-Xenon headlamps and more.